First-Degree Murder Colorado | Mastro, Barnes & Stazzone P.C. If you’re facing charges for first-degree murder in the State of Colorado, contact the attorneys at Mastro, Barnes & Stazzone P.C. for representation. We provide legal representation for clients in and around Denver, CO, for all types of violent crime charges, including murder, arson, and more. We take your situation seriously at our firm and will walk with you every step of the way throughout the legal process so you are not trying to navigate complex criminal charges alone. Our attorneys work hard to uncover any special circumstances or factors that may assist clients in the preparation of a vigorous defense against criminal charges. We take the time to sit down and truly listen to all the details so we are fully informed of your circumstances and can move forward with confidence. With over three decades of experience under our belt, we also have a solid understanding of State of Colorado laws and statutes as they relate to violent crime. Defending a client against a violent crime charge is a complex process that requires excellent communication skills and a vast knowledge bank of information about the legal process. At our firm, we prepare each case carefully, bearing in mind that every set of circumstances requires a fresh pair of eyes as well as an experienced attorney at the helm. We are used to combing through details and reviewing documentation. Our defense preparation process is thorough, and we take the time to make sure we don’t miss important information that may help a client. You can feel confident about getting our full attention for your case. 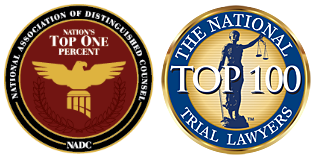 The criminal defense attorneys at Mastro, Barnes & Stazzone P.C. are experienced in defending clients accused of crimes of violence. We are ready to provide an aggressive criminal defense to help you. We have handled cases in each of the areas above and more. The criminal defense attorneys at Mastro, Barnes & Stazzone P.C. understand facing charges of a violent crime in the State of Colorado can be frightening and overwhelming. We’re here to help you figure out what your options are and move you forward through the legal process. We’re prepared to meet whatever set of circumstances you may be facing in or out of the courtroom. Let us answer your questions and make sure you are informed throughout the case. Take the first step and contact our Denver, CO, area office to schedule an appointment where we can confidentially discuss your situation and let you know what we can do to help.